Pony Tales Blog: Happy Jump Day! It's been a while since we've jumped, but Panama has always really liked it. We started out with just some trot poles, since I'm wanting him to build up the muscle tone and control that he lost while we weren't riding as often. 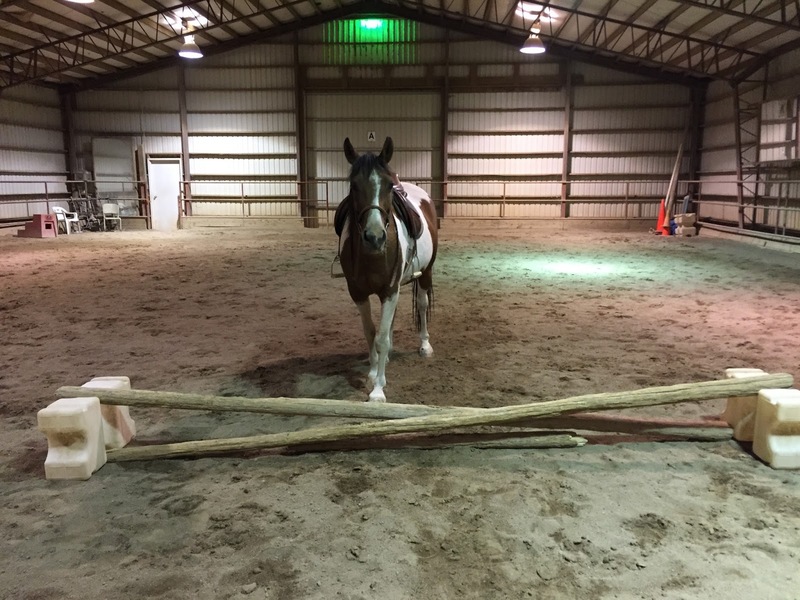 But he seemed so energized by the trot poles that I decided to turn them into jumps. We only trotted the jumps. I think he probably would have liked to canter them, but he's out of shape and I didn't look forward to the thought of him heaving himself (and me, by extension) over the jumps. I also wanted to work a little on controlling his approach and not allowing him to just bumrush the jumps (a bad habit of his). It took a couple of reminders in each direction, but overall he did really well! Probably better than I did, actually -- I could feel that my form was way off what it should have been. But hey, something to work on next time. I'm thinking "Jump Day" (instead of Hump Day) should be a thing from now on! It sure made my Wednesday better!